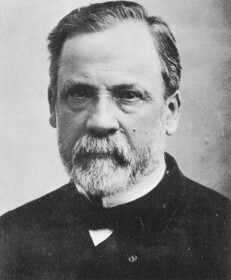 Louis Pasteur was a French chemist and microbiologist who made many important discoveries related to the immune system, vaccinations, chemistry and the nature of diseases. Read on for interesting facts, quotes and information about Louis Pasteur. Louis Pasteur lived from December the 27th 1822 to September the 28th 1895 and was famous for his work on disease causes and prevention. He is well known for inventing a process to stop food and liquid such as milk from making people sick. This method is called Pasteurization, it helps reduce the number of microorganisms that could cause disease while not affecting the quality and taste in a way which sterilization would.